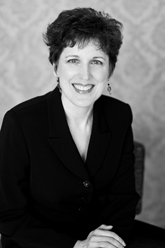 Susan Hale, alto, has been actively involved with choral music for many years in the Portland area as an ensemble singer, soloist and educator. She is a member of the women’s early music ensemble In Mulieribus, and also sings with Cappella Romana and The Ensemble of Oregon. She also has sung with Choral Cross-Ties, Trinity Consort, Portland Baroque Orchestra Chorus, and Oregon Repertory Singers. Susan performed for many years as a member of the Berwick Chorus of the Oregon Bach Festival in Eugene. She has recently completed a long tenure as choral director at Tigard High School. Susan’s love of music education has encompassed elementary, middle school, and high school vocal music as well as private instruction. She is now mentoring student teachers in music education as a field supervisor for Portland State University. She lives in Wilsonville, Oregon with her husband Paul Klemme, a church musician and conductor in Salem.